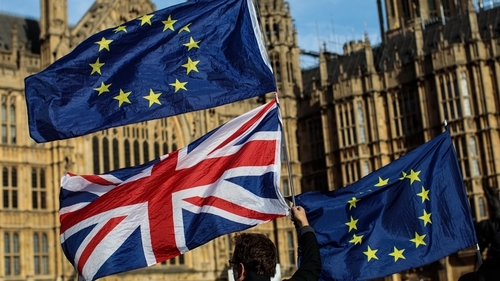 A senior World Trade Organization (WTO) representative has said the body is watching Brexit negotiations between the European Union and the UK "very closely". The represenatiave said that while the WTO has been offering advice to both sides, it has been working more closely with the UK. Speaking at an event in Dublin today, Principal Advisor to the Director-General of the World Trade Organization Tim Yeend said the implications of Brexit for members of the WTO will "largely be determined by the arrangement that is sorted out between the EU and the UK". He added that the WTO has been providing advice to both sides in the negotiations, but "particularly to the UK" because "the UK in separating from the EU needs to establish its own commitments in the WTO. "That would be the basis on which it would take on commitments with the rest of the world according to WTO rules," he stated. Mr Yeend also said the WTO is as "interested as anyone else watching what's happening and clearly it's leading to a degree of uncertainty while these discussions take place. "Our role has just been to provide whatever assistance we can to both sides to make sure that trade is able to run as smoothly as possible through this process," he said. He added that if the UK leaves the EU without a deal "the WTO would provide a basis on which it could continue to trade around the world". Mr Yeend also said uncertainty and tension categorise the current state of the global economy.